On March 18, 2019, a Public Meeting was held by the Saugeen Shores Council to discuss an application to amend the Town’s Official Plan. The proposed amendment is intended to change Section 2.6.8.2(c) which pertains to significant woodlands on certain properties in Southampton. As a follow-up to the Public Meeting, the Wildlife Expert and Planning Consultant representing the owners of the subject lands will be hosting an open house on Tuesday, April 9, 2019 from 10:00 a.m. to 11:00 a.m. in the Southampton Town Hall to discuss the intent of the proposed amendment. 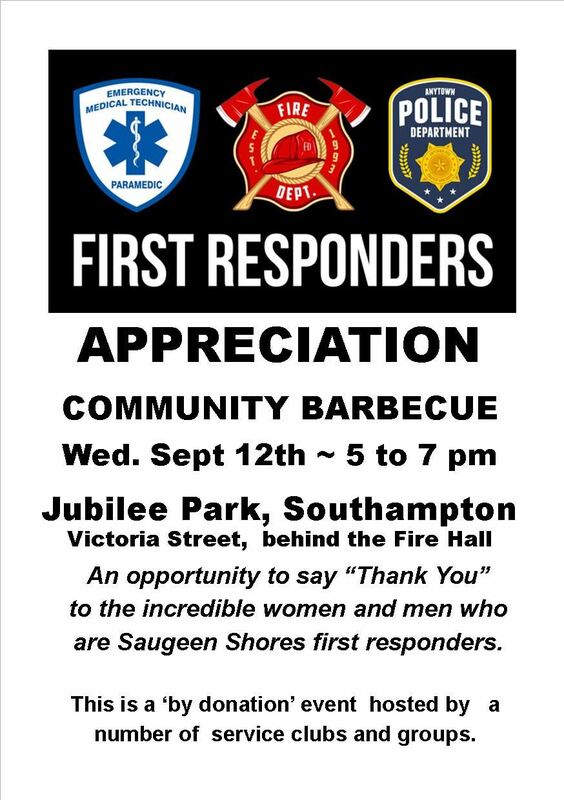 Members of the public are welcome. Take Notice that a Public Meeting will be held on Monday, March 18, 2019 at 6:30 p.m., at the Town of Saugeen Municipal Building, Town of Saugeen Shores 600 Tomlinson Drive, Port Elgin, Ontario in order to consider the Planning Application. A developer wants to open up development on the Environmental Hazardous land from Island to South St and McNab to Huron. They are asking the Town and County to reduce the size of the designated woodland and wetland areas in this area. If the reduction in Significant Woodland, Wetland, Environmental Hazardous and Flood Pain areas are reduced as requested, these areas will likely see full residential development. A Public Meeting will be held on Monday, March 18, 2019 at 6:30 p.m., at the Plex, 600 Tomlinson Drive, Port Elgin, Ontario in order to consider this Planning Application. If you would like to add your support or comments to a petition concerning this proposal, organized by neighbors independent of the SRA, please contact: bgputman@gmail.com or ke.mcleod@hotmail.com. 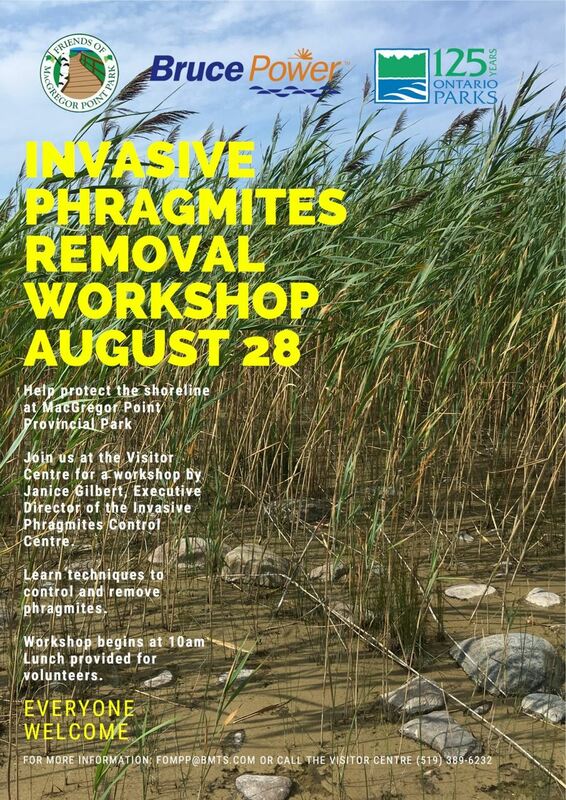 For more information relating to the application, e-mail the Planning Applications Technician responsible for the file Julie Steeper jsteeper@brucecounty.on.ca. Written submissions should also be forwarded to her by March 11, 2019 in order to be included in the Planning Report. 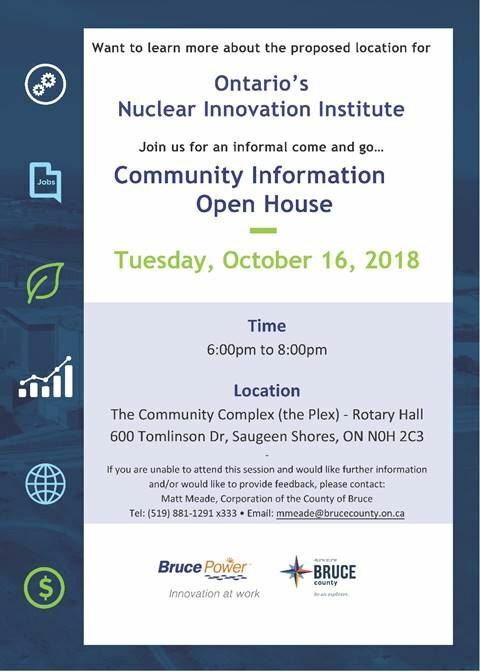 In May, Bruce Power and the County of Bruce partnered to establish the Nuclear Innovation Institute (NII) as an international centre of excellence for applied research and training. 50m. tall Telecommunications Tower proposed for Southampton on Comfort Inn property. We learned this week that there is a proposal to place a 50m tall telecommunications tower on the Comfort Inn property at the north end of Southampton. The proposal is expected to be on the agenda of the Saugeen Shores Planning Committee at its meeting scheduled November 19th. The applicable governing body is ISEDC (Innovation, Science and Economic Development Canada). The public can make written submissions to the Applicant, Shared Network Canada, c/o Tracey Pillon-Abbs, 275 Macpherson Ave., Unit 103, Toronto, ON M4V 1A4, 226-340-1232, tracey@sharednetwork.ca by close of day Monday, Dec. 3, 2018. Vote Now! 2018 Municipal Voting Period: October 12th - 22nd. The following video demonstrates how to vote using the internet. Please watch the video and if you have any questions, please contact the municipal office. The option to vote using a telehone will also be available if you do not wish to vote using the internet. A Voter Notification Letter will be provided to each registered elector. The letter will provide the toll free telephone number and instructions for telephone voting. The Institute is sited for the corner of Victoria and High Streets next to the Bruce County Museum in Southampton.